As sad as it is to think about, there are some problems we can’t solve. From faster ways of traveling to beef made without harming a cow, it seems like we’re hitting new breakthroughs every day. Once upon a time, a cancer diagnosis was the most hopeless news you could have, but the steady march of research has made the menace treatable, survivable, and in some cases, even curable. Yet, it only takes one person’s struggles with an unknown condition to remind us how much work still needs to be done. After all, there’s nothing more disheartening than to meet someone with a problem you deeply empathize with but can do nothing about. Yet, we can never lose hope. The answers to seemingly impossible problems have a surprising way of revealing themselves sometimes and our history has no shortage of “eureka” moments that would go on to change everything. 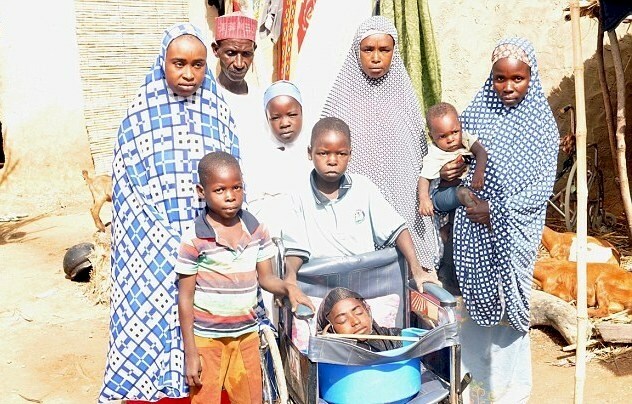 Hopefully, such a moment will come for 19-year-old Rahma Haruma, who has to live with an unfortunate and baffling condition. Please SHARE this and help her story reach the right eyes. However, this isn’t quite the issue. The Nigerian teen seemed perfectly healthy when she was born, but things started to change when she turned six-months-old. Her mother first noticed it when she wasn’t able to crawl. After that, her arms and legs simply stopped developing and left her without the ability to walk or move around. As if that wasn’t bad enough, she also suffered from chronic pain. Her ailing started with a simple fever, but then grew into stomach pains before she started to feel it in her arms and legs. When this pain strikes, she can’t move her limbs at all. So she relies on the help of her family, who she says give her everything she needs. It’s for this reason that Rahma spends most of her time in a plastic bowl. 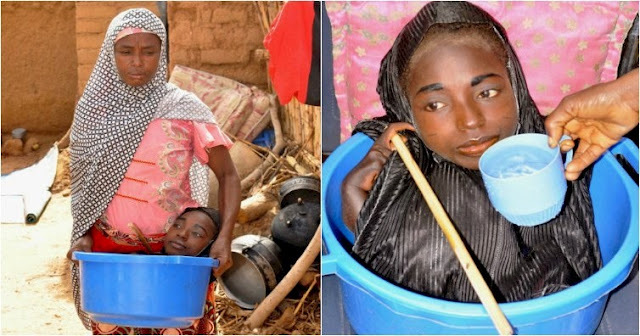 Her family uses the bowl to carry her around their village as part of their effort to provide her with a fulfilling life. She’s particularly close to her 10-year-old brother, Fahad. He said he bathes her and takes her through the village every day. He likes it when people help her and really enjoys visiting relatives because of the happiness she feels around them. Fortunately, the Haruma family has recently started receiving help from the community. She now has a wheelchair, which was reportedly donated by someone they met at the supermarket. That person also took Rahma’s picture, which ended up being published in local newspapers. The family spent the last 15 years seeking treatment. With the recent press, they hope to attract the attention of a charity or a specialist to help ease her suffering or even diagnose her illness. Unfortunately, local doctors were not so helpful. 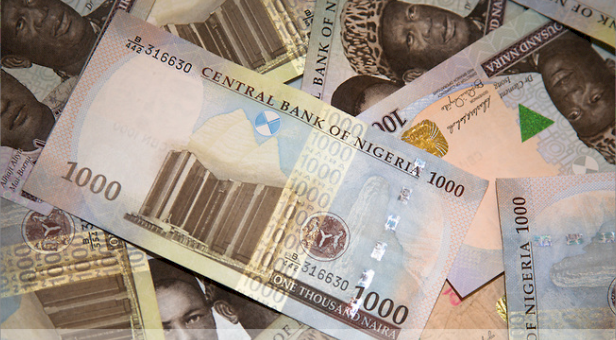 Although the Haruma family’s search has cost the equivalent of $3,276 in Naira, they’ve only been told that their daughter was cursed by a supernatural being called a jinn. 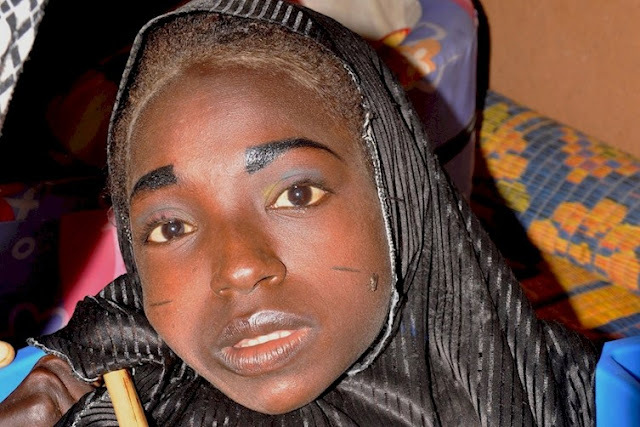 Despite her constant pain, Rahma is maintaining a positive attitude. She also dreams of owning her own store somebody. 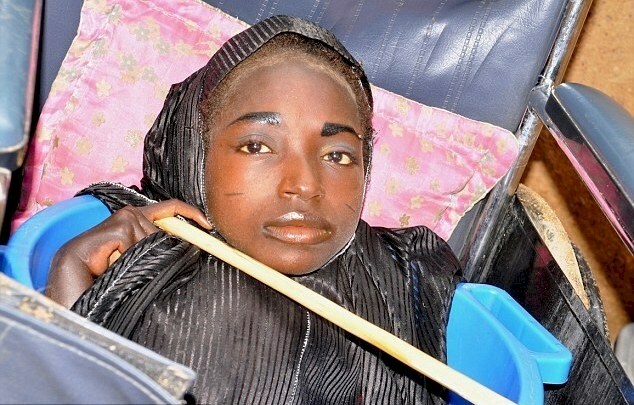 Please SHARE this and help spread Rahma’s story to someone who can help her.